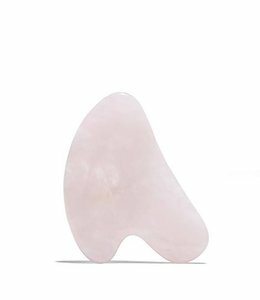 Gua sha has been practiced in Traditional Chinese Medicine for thousands of years. 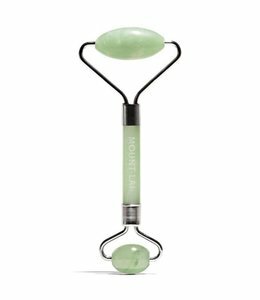 Perfected throughout the centuries, this jade gua sha tool was built to have a firming, lifting effect on the skin. Keep the tool flat against the face and begin with the forehead. Scrape in an upwards motion from the eyebrows to the hairline. Move to the cheeks and scrape in an outwards motion starting from the crease of the nose until the ear. Move to the jawline and use the end of the gua sha tool with the two curves. Start from the chin and scrape until the ear. Gently massage the gua sha tool into the ear to release tension. For the under-eye area, very gently scrape the gua sha from the inner corner of the eye outwards to the temple. Because the area is so sensitive, it is important to only apply light pressure. 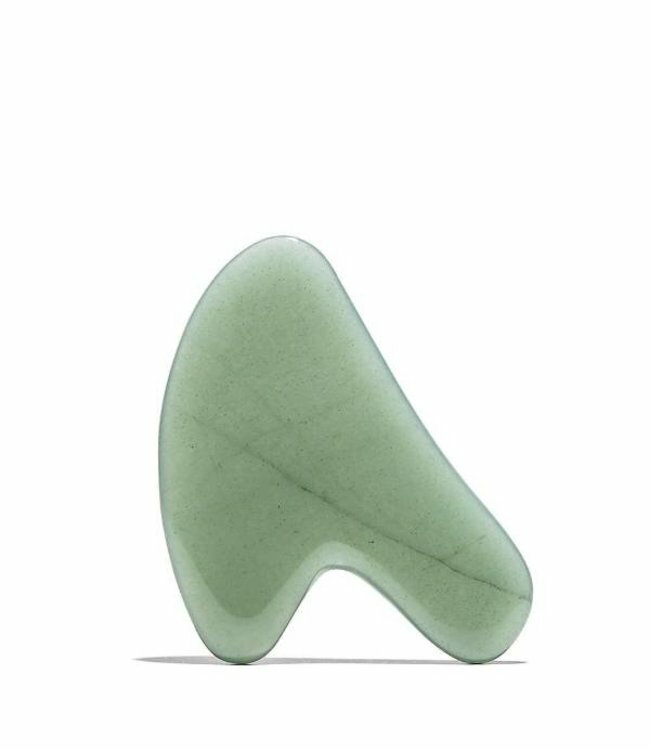 Due to natural variations in stone, every gua sha is unique in pattern and colour.